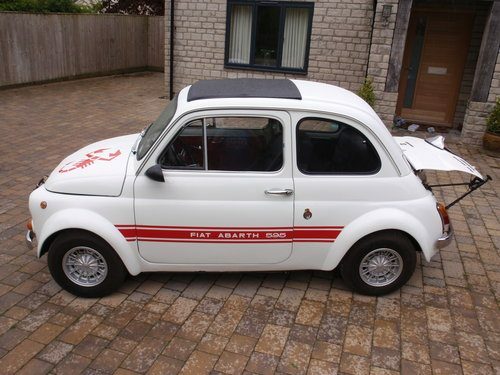 For Sale – 1967 Abarth 595 | Classic Cars HQ. Alert Me! when Abarth cars are listed. 1967 Abarth 595 Esse Esse A very well-known car after being featured in Auto Italia and Classic Cars magazines. The body was manufactured by Fiat in 1966 and handed to Abarth in early 1967. 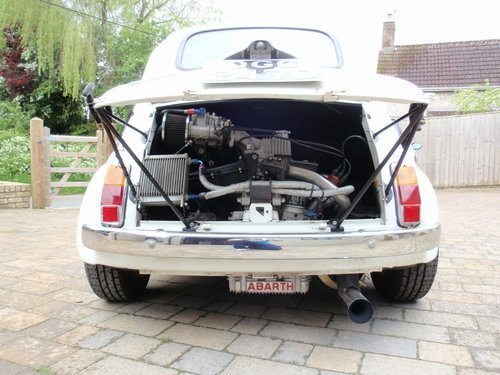 Imported into the UK in 1999 by Abarth specialists ‘Sting in the Tail’ of London and registered on the V5C as an ‘Abarth 595 – historic vehicle’. Completely restored in 1998 and enhanced mechanically over 5 years in the UK culminating in having a Middle Barton Garage 695 engine, installed during 2006, which has been built to a very high standard (details on request) and which develops over 40 BHP. The vehicle has been dry-stored for the past 4 year but went through a new MOT without any drama after a complete inspection and road test. It is hard to prove the authenticity of the car but please call so I can run through what checks I have done and what evidence there is. 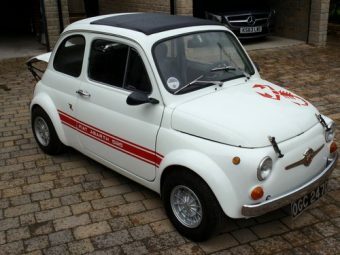 It does have the 7 digit Abarth chassis stamp, copy of the ACI certificate and was registered in the UK using the Italian equivalent of a V5C (libretto). The car has had a small fortune spent over the years and the drive reflects this. It is in a very good condition for the age (and being a Fiat). 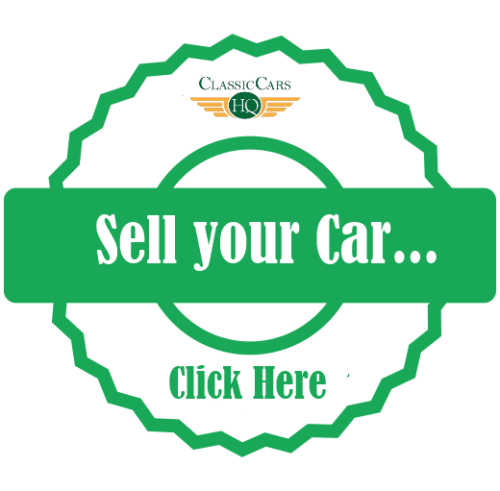 Although the car has a lot of provenance, with regards what it is, the paper trail is not complete so it cannot be 100% guaranteed. This is highlighted by the Auto Italia 5 page feature that was undertaken by Middle Barton Garage who stated that it was a recreation but openly admit they never tied to authenticate the car whilst in their possession and it was not until 2014 when the chassis stamp was unearthed by accident. So whilst vehicles with a complete lineage go for north of £50K I’m pricing my car realistically.